Ronald J. Lattanzio, RPH is CEO/Owner of Forest Hills Pharmacy Inc. in Saint Michael, PA. He also serves on the board of directors and is Vice President of LTC (Long Term Care) Services at PRS Pharmacy Services in Latrobe PA. Ron graduated from The University of Pittsburgh School of Pharmacy in 1984 with a BS in pharmacy. After a short career with a retail chain pharmacy, Ron partnered with PRS and in 1985 opened an independent retail pharmacy. After 16 years in the retail pharmacy business, he recognized the opportunity in Long Term Care Pharmacy. In 2001, Ron opened a “LTC Pharmacy”. Since that date he is providing pharmacy services to over 40 facilities. This pharmacy model was utilized in the development of PRS’s Long Term Care Pharmacy Program for retail pharmacy owners. 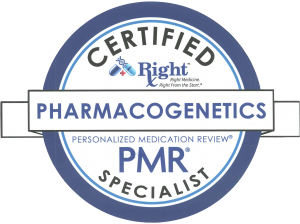 Ron is a member of NCPA, APHA, PPA, and The Cambria Somerset Bedford Pharmacy Association. He also sits on the board of Allegheny United Cerebral Palsey. Responsibilities include development, training, and operational oversight for both FHP Pharmacy and Forest Hills Pharmacy. Diane is responsible for implementation of training programs, med tech training, and medication distribution. Diane also acts as the liaison between Nursing Home Facilities and FHP Pharmacy Services. Diane has been employed by Forest Hills Pharmacy since 2001. She frequents all of the facilities that FHP services to consult if any issues may arise. Also, she is the “go to person” for staff of FHP, as well as customers. Prior to joining FHP Pharmacy Services, Diane was an executive Sales Person with WJAC-TV, an NBC Affiliate. Her primary responsibility was to develop new local business along with maintaining relationships with Advertising Agency for the region. In Diane’s spare time she enjoys traveling with her husband and family. She truly enjoys family gatherings and cooking for the large family that she and her husband share. Garrett Adams is the Operations Manager for FHP Pharmacy Services. He began his career with FHP in 2005. Some of his job responsibilities including new business development, customer services and providing In-Service training’s for staff members at Nursing Homes.